This is the last masking machine you’ll ever have to buy for your auto body repair shop. Featuring heavy-duty steel construction and a durable powder-coat finish. The Innovative Mobile Masker Deluxe is a complete masking system that holds 12-inch, 18-inch, and 36-inch rolls. This masking machine eliminates waste. The heavy-duty blades ensure a smooth tear every time. The thick steel blades are long-lasting and will provide smooth cutting for years. This popular masker also allows you to dispense paper and plastic directly from the factory box, protecting it from dust and unintended tears. The Innovative Mobile Masker Deluxe comes with a magnetic razor blade holder that allows you to cut paper and plastic vertically, right against the factory box. The Innovative Mobile Masker Deluxe features industrial-grade caster wheels, allowing you to bring it directly to any workstation. 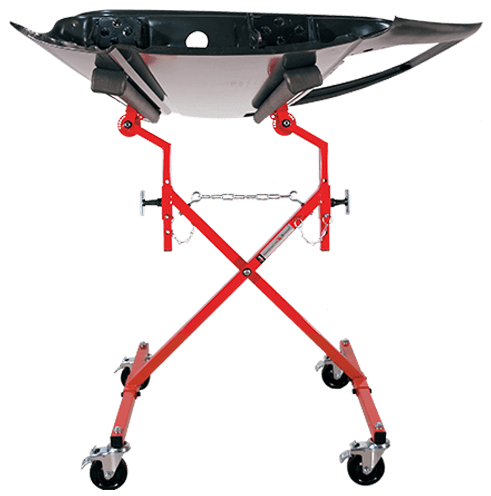 The Mobile Masker’s 19-inch profile makes it very easy to maneuver even in the smallest body shops. The total-lock wheels prevent any movement while the Mobile Masker Deluxe is in use. 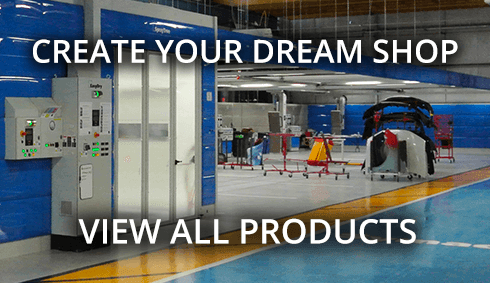 Innovative Tools recommends one Mobile Masker Deluxe for up to 2 technicians depending on the layout and flow of your body shop.